Here at driveJohnson's, we have been known to supply many students of the town's largest school, Hinckley Academy, with driving lessons in Hinckley. Here, in this historic market town, quieter estates such as Kinross Way are the ideal locations for beginner drivers to kickstart their learning journey. The quiet roads and minimal street parking gives new drivers space to learn the basics. Your lessons will begin with the teaching of safe moving off and stopping, along with clutch control and simple steering exercises. As you progress, your instructor will then teach you the process of going up and down the gears and left-hand turns. Other residential areas, such as Hamilton Close, are frequently used for both the teaching and examining of manoeuvres. As you become more confident and capable as a drive, you will be required to tackle the more challenging aspects of the Hinckley road system. The main A roads around this Leicestershire town include the A47 bypass and the A5. When your instructor feels you are ready to, you will then be taught potential test routes in preparation for your test. Not only will this task help to familiarise yourself with the road system and plethora of junctions, but it will help to increase your confidence and abilities as a new driver. Great Instructor, helped me with my confidence. Would recommend to anyone. Will miss the stories! If you're looking for a patient, professional, super supportive driving instructor with a smooth and sassy car, you're in the right place. I'm really going to miss my lessons with Ian. I always felt like he was totally on my side and my driving improved every hour I spent with him. 100% value for money and loads of laughs along the way. My pink licence just arrived in the post and I couldn't be happier. Thanks for everything, Ian! Ian is an unbelievably amazing instructor, he has several brilliant qualities that makes him an astounding instructor: he is kind, very patient, pays great attention to detail and has the ability to calm you down when you feel things are becoming too much in the lesson by telling his crazy jokes about Bessie and other characters 😂 each lesson I would be in fits of laughter from his crazy jokes and stories! He has worked so hard with me, picking up on my flaws and fixing them to become a better driver and has also built greatly on my confidence! I honestly don’t think l would of been able to pass if l didn’t have Ian as an instructor, it has been such a pleasure having him teach me. I would recommend him to anyone! 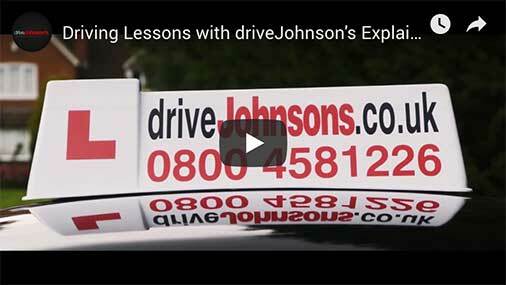 Ian is an absolutely great instructor, he is such a credit to drive Johnson's!! After being with a previous driving instructor who was clearly just out for my money and was not helping me to improve my driving at all. I approached Ian and I had approximately 6 lessons with him and I passed my driving test no problem. I am now driving about and loving every minute of it all thanks to Ian, I would highly recommend him without a doubt. Great person and will always bring your best out. He does acknowledge flaws but tries to find a way to overcome them or ‘meet in the middle’ to help you further your skills. Thank you for all you have done and I hope to see you on the roads. If I could give more than 5 stars I would!! After numerous driving instructors I got in contact with Ian and it was the best decision I made. Ian completely changed my perspective of driving and got me through my test with only 2 minors. I wouldn't of been able to do it without him. Would definitely 100% recommend him!! I started learning with Ian a few months ago and honestly he is one of the nicest, funniest guys I’ve met. He calmed my nerves down with my Driving and he helps by breaking the lessons up with his crappy jokes ;). I sure will miss Ian, Bessie and the Queen being in the back of the car with a cup of tea! If there was 7 stars I would give them to Ian!!! 3 months ago, I had never sat infront of a steering wheel let alone actually drove a car. Today I passed my test first time, with only 4 minors! Ian, right from the very beginning of my learning journey built up my confidence and made sure every aspect of my driving was good. He is always offering very helpful constructive criticism however he never forgets to praise the good skills that you may have. This guy pays great attention to detail and learning to drive with him was an absolute pleasure. I 100% recommend learning with Ian, he is a very good teacher and instructor. Fantastic. Helped me pass, tips for after passing, confidence building, and generally a good teacher. Wicked sense of humour and totally professional. An amazing instructor, who helped me to build up my confidence behind the wheels and become more aware of others around me. Always finding ways to help me solve the problems I came across and keeping me calm whenever it became too much, with lots of fun stories. I’ll miss all the crazy jokes and having lots of different characters in the back, reminding me not to spill Bessie’s glass of wine! Hope you find more smiley star stickers Ian! Honestly, if it wasn’t for Ian, I don’t think I would’ve been able to pass! I’d 100% recommend him to anyone! Ian Dickman is a superb driving instructor. When I first started out with him, I was on the brink of quitting my driving lesson. He explains things and makes it so easy to grasp. I couldn't ask for a better teacher. Was nervous when I first started but Ian soon Calmed them down, Ian made me feel safe and assured me that I was doing fine!! Very easy to get along with!! Would recommend Ian to anyone! Fantastic driving Instructor!! Great instructor, very understanding and patient, nice person to drive with and very knowledgeable. Passed first time and it was all down to the well planned lessons before the exam. Cannot thank Ian enough! I bought lessons for my son for his birthday with Ian. Great instructor. Ian is a wonderful instructor and has supported me from day one of my driving lessons. He made every lesson enjoyable, and would work around both the things both myself and him wanted to improve. He helped increase my awareness and confidence on the road allowing me to pass my exam. I would recommend Ian to anyone wanting to learn to drive because his lessons are second to none and he's a brilliant person to learn from!! I have just passed my test and I believe that Ian was the reason for it not just the driving technique but also the mentality and how to be confident at the wheel, I will always recommend him to any of my friends and I am glad to have called him my driving instructor. Thank you for helping me pass my test! Thank you for all the laughs and making it such a great experience! Would definitely recommend Ian! Ian was recommended to me by a colleague after being with another instructor for over a year and failing my test multiple times. I have today just passed my test with a massive smile on my face and would like to thank Ian for his persistence. If you struggle with something he will always find a way to make it comfortable for you. Would highly recommend. Thanks for everything!! Best driving instructor in Leicester. Soo lucky I had Ian, funny and great sense of humor. Unfortunately I won't be there anymore now that I've passed so I leave you with this Ian :). **Thats totally my bad** ;).